Often I find that some of the children I work with need visuals and more structure in their free and dramatic play. 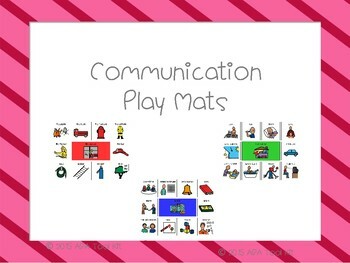 To help with this I have been creating communication play mats. 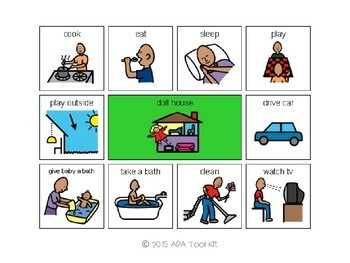 There are so many ways to use these, but some of the ways I use them are to narrate play, expand repertoire with that toy, a visual, or to create a group plan or play sequence. 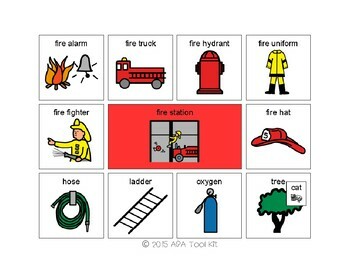 This product includes a bakery, fire station, dollhouse, kitchen, pizza parlor, school, space, veterinarian, toy store, shopping center, play dough, farm stand, blocks and doctors office. 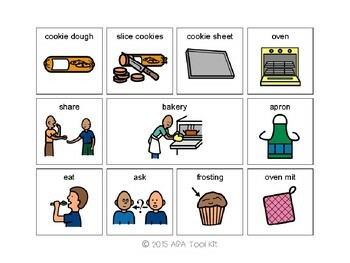 Personally I'm a big fan of printing two sets and velcroing the pictures on so students can exchange them or you can use them to build play sequence for following a routine.